Since I’m an amazing tech and researcher I told my boy that I would figure it out. After a long search and many failures I succeeded. Since I love to share, I decided I would show you the process to do it yourself. 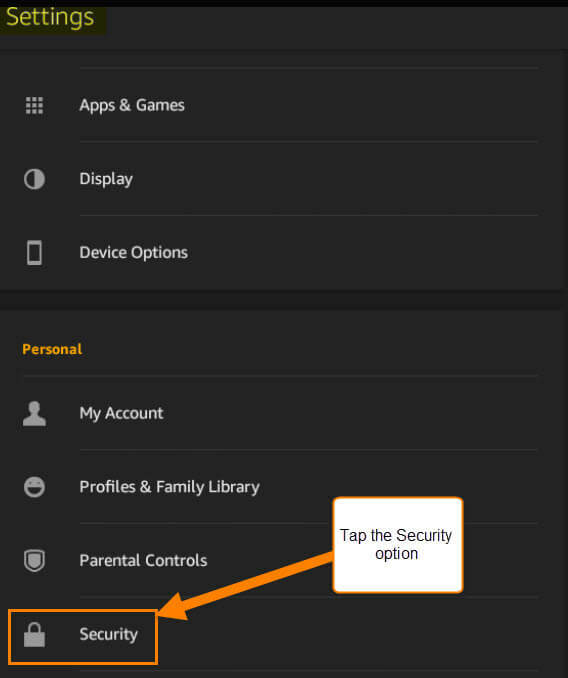 Next, Tap on the Security option. 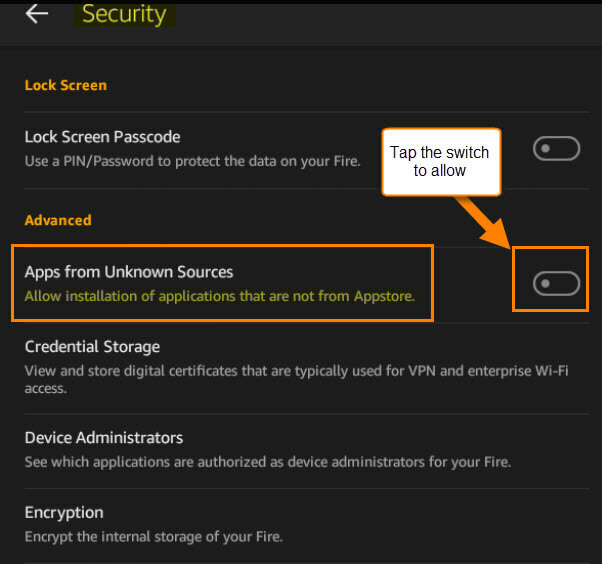 Lastly, Tap the switch to allow unknown Apps to install. You will get this Warning screen (make sure to read this) after you turn on the option. I will say that from this point you need to proceed at your own risk. If you are finished reading the warning and are ready to move forward, tap OK. 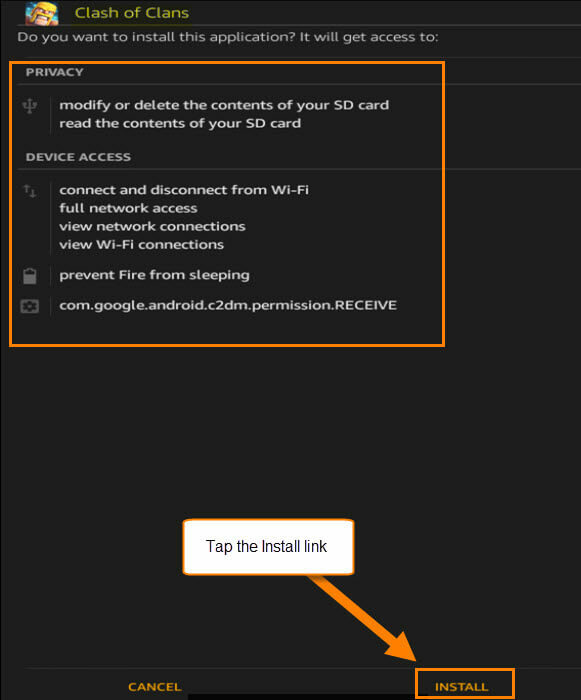 Step 2: Next we will want to go online and find the APK files for the game we would like to install. What is an APK file? Always good to know what you are installing on your system first. Now that we know what this file is, where can you find it? 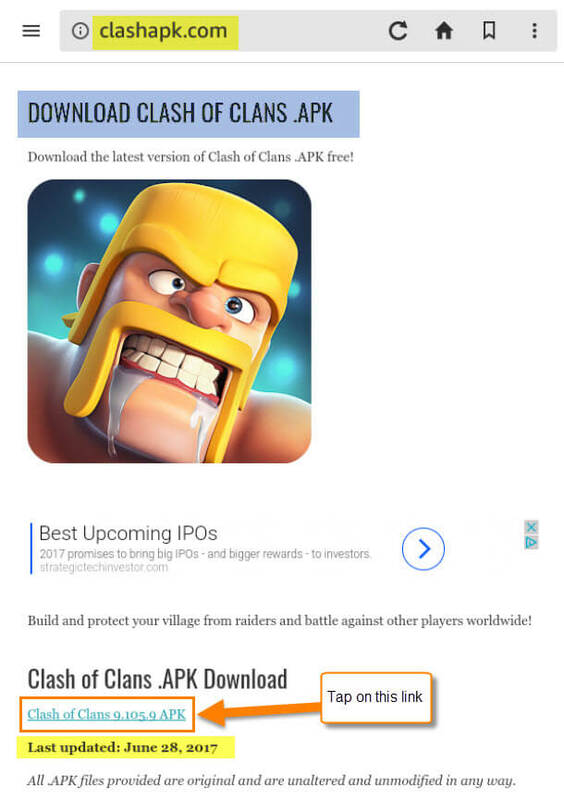 Since we are needing the Clash of Clans file you need to head here, clashapk.com which I found to be a trustworthy site to get the file from. Tap on the file Download Link. Make sure to go to the website with your Kindle to download the file. Next, Tap on the Download Button. You will probably get a warning like this, but just hit OK. Step 3: Once downloaded, make sure to install it on your device. 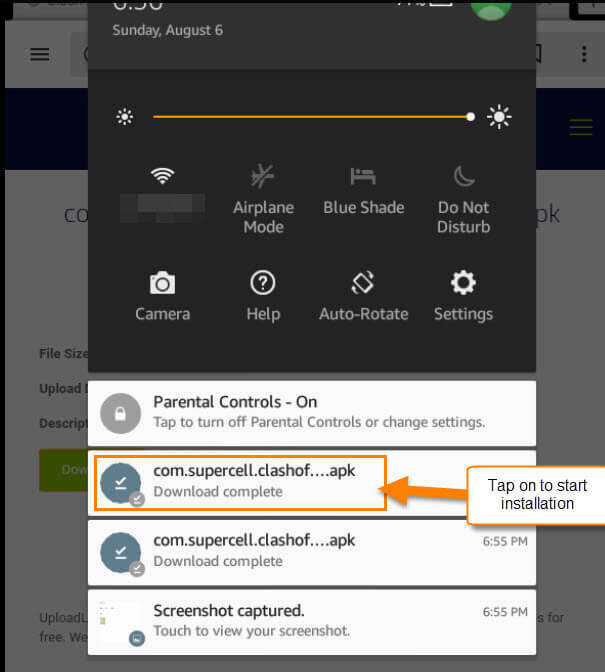 To install the files, either you will need to head to your download folder, or swipe down and it should show you what you recently downloaded. You will only need to tap the APK file from the list. After tapping the APK file, you will be taken to the install screen. All you need to do now is tap Install at the bottom of the screen. You can head to the bottom and Tap on the Open option to get started playing.